Which 2018 Jeep Grand Cherokee Trim Level Should You Choose? The 2018 Jeep Grand Cherokee trims are impressive from the lower end and groundbreaking at higher levels. 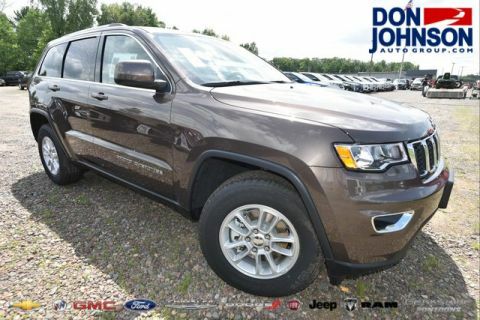 Whether you need to cross the densest backcountry outside Rice Lake, blaze with uncommon acceleration on your commute to Cumberland, or simply enjoy extravagant luxury on the streets of Hayward, the 2018 Jeep Grand Cherokee can offer a trim level that seems tailor-made for your needs and wants. Here’s a quick overview of what’s available. Starts strong with rearview camera, rear parking sensors, dual-zone climate control, 7-inch touchscreen, six-speaker sound system, Bluetooth, and more. Comfort features include heated steering wheel, heated front and rear seats, and leather upholstery. You’ll also find 18-inch wheels and a power liftgate. 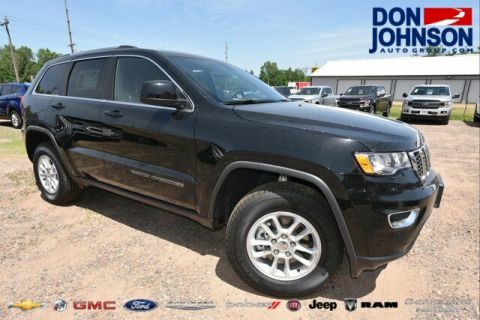 Off-road-oriented with Quadra-Drive II four-wheel drive and Quadra-Lift air suspension as standard, plus several further capability features and a 8.4-inch touchscreen with Apple CarPlay/Android Auto. 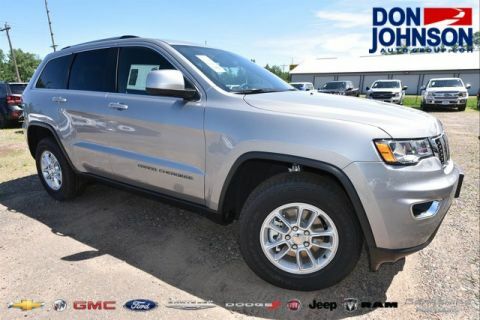 Upgrades your drive with 20-inch wheels, LED daytime running lights, a dual-pane panoramic sunroof, GPS navigation, auto high-beam headlights, and its own air suspension system. 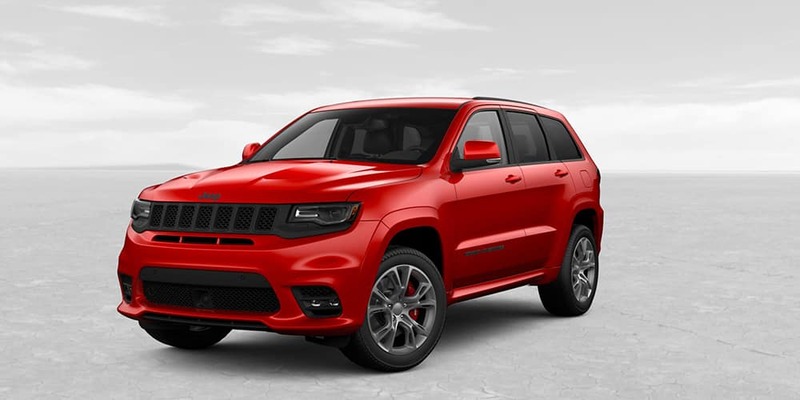 The 2018 Jeep Grand Cherokee trim lineup could conclude with those four and leave no room for complaint, but it chooses to go the extra mile with the luxurious Summit, sporty SRT, and intensely capable Trackhawk models. Drivers turn to the Summit for high-end technology, with driver-assistance features a clear focus. The trim includes ParkSense Front Park Assist System, Lanesense Lane Departure Warning with Lane Keep Assist, Forward Collision Warning with Active Braking, Adaptive Cruise Control, and Blind-Spot Monitoring with Rear Cross-Traffic Alert, plus Parallel and Perpendicular Park Assist. Leather upholstery is upgraded, and a 19-speaker Harman Kardon audio system is added. The SRT calls upon up to 475 hp and 470 lb-ft of torque, using a special all-wheel-drive system focused around on-road rather than off-road performance. 20-inch wheels come equipped with performance tires, and sport-tuned engineering is evident throughout. The Jeep Grand Cherokee Trackhawk pushes power and performance to new heights. A supercharged 6.2L V8 delivers up to 707 hp and 645 lb-ft of torque, with upgraded adaptive suspension, Brembo brakes, 20-inch titanium wheels, and aggressive styling reinventing expectations. 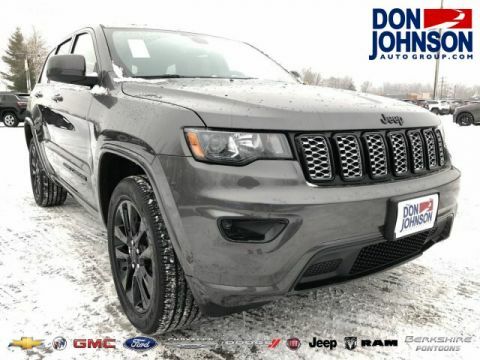 From our financing department to sales team, the people here at Don Johnson Motors can help you find the right 2018 Jeep Grand Cherokee price and trim level. Contact us today for any further assistance, or visit one of our dealerships in Rice Lake, Cumberland, or Hayward to take a test drive.